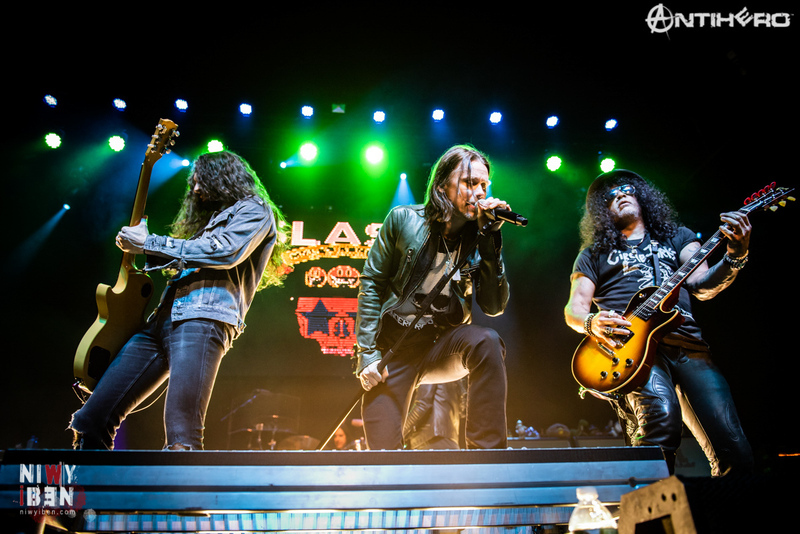 Slash is a very busy man and so is Myles Kennedy. 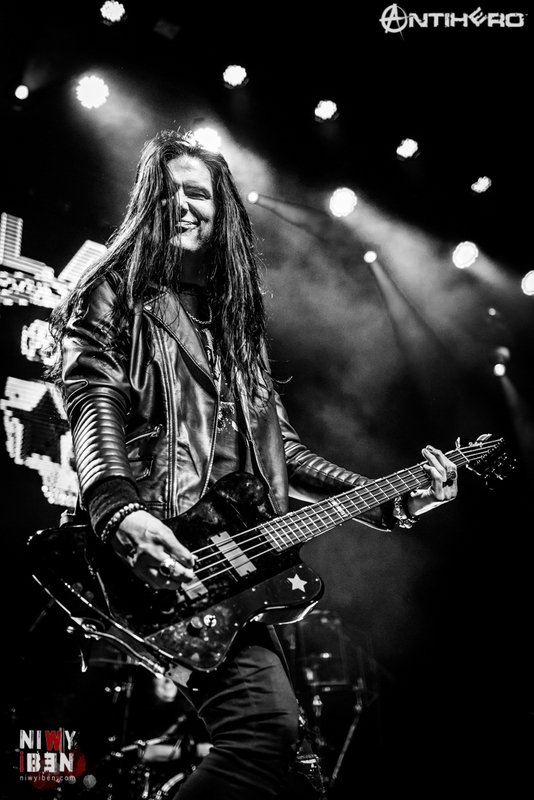 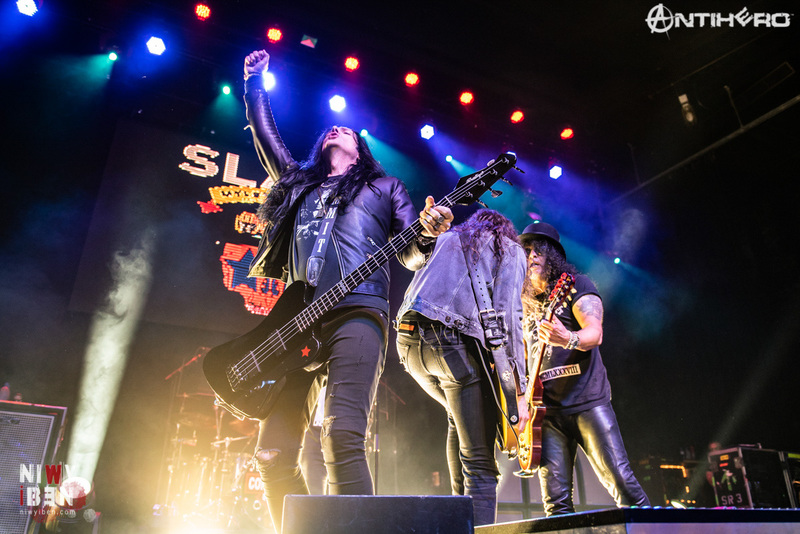 To my pleasure, both gentlemen found the time in their hectic schedules and got back together with the Conspirators, Todd Dammit Kerns, Frank Sidoris and Brent Fitz, and as a result, the third SMKC album was born. 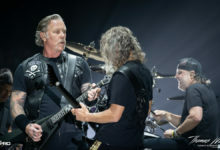 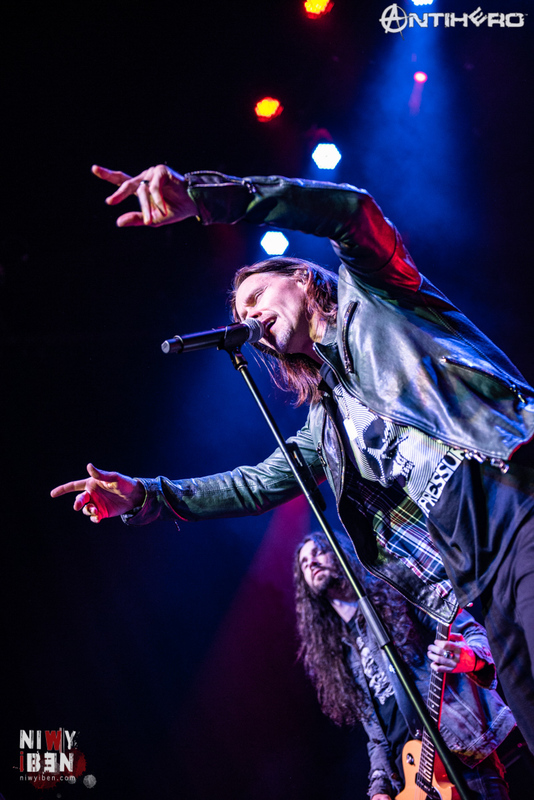 To promote the brand new record ‘Living The Dream’, the band embarked on US tour and at the beginning of October, they made a stop in Montclair, NJ in The Wellmont Theater. 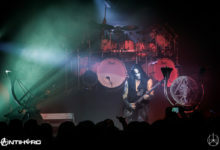 Much like the most of this tour so far, Monday’s show at Wellmont was, unsurprisingly, sold out. 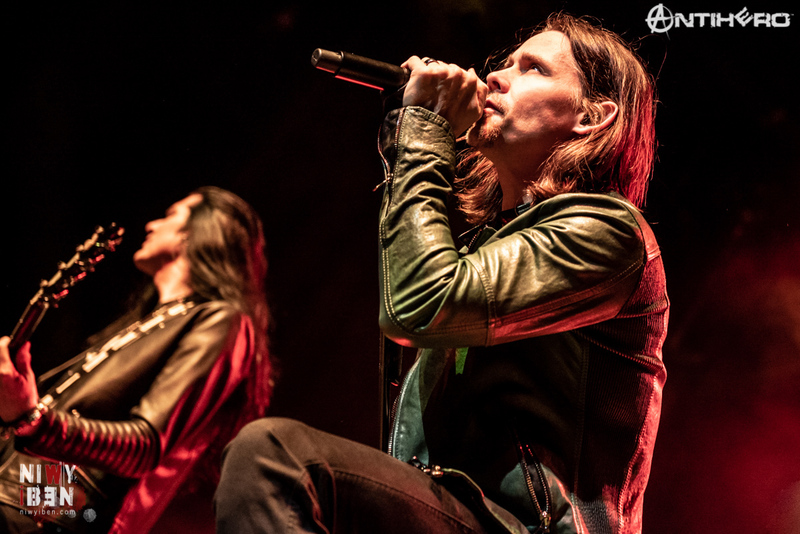 These five guys have a solid fanbase and deservingly so. 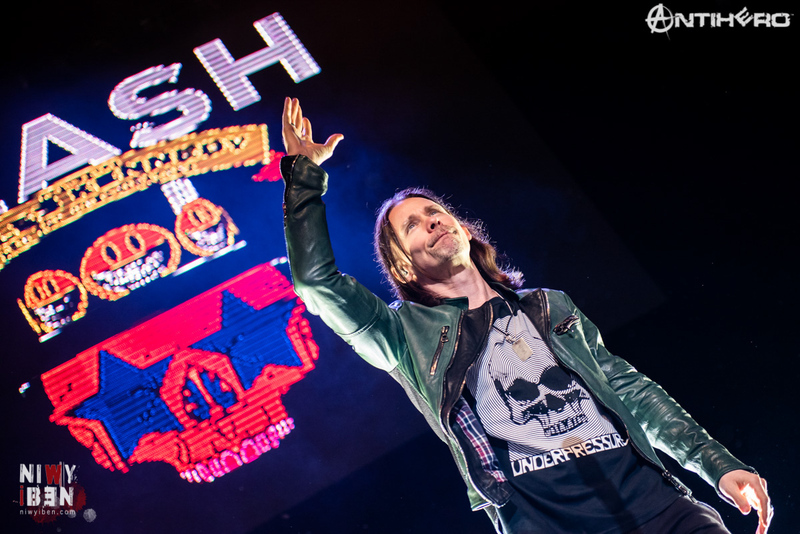 After all, I am by far not the only one travelling overseas to see SMKC play here in the US. 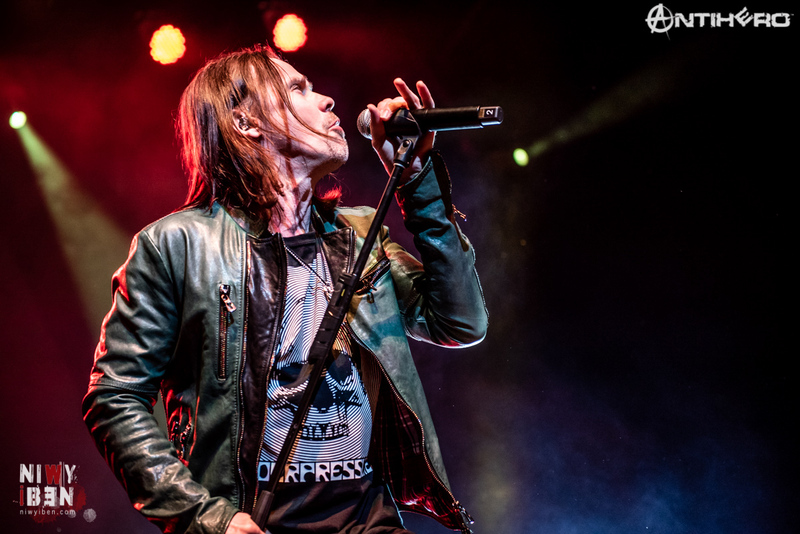 It is also quite a different experience and more intimate since the clubs played here are definitely smaller than the venues that have been announced for next year’s European tour and that is just one of the countless reasons it is definitely worth the travel. 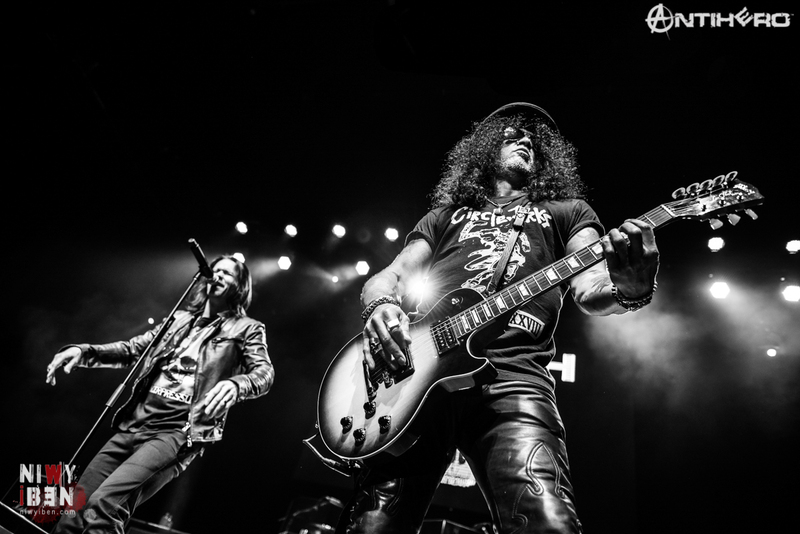 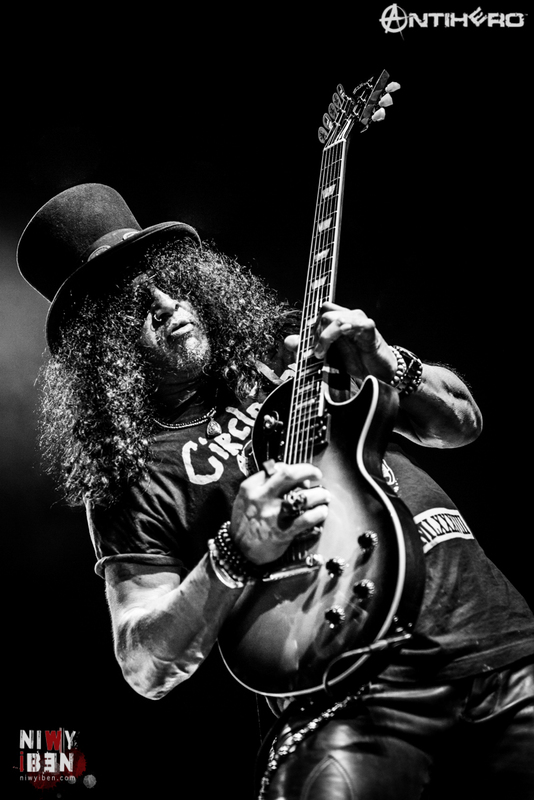 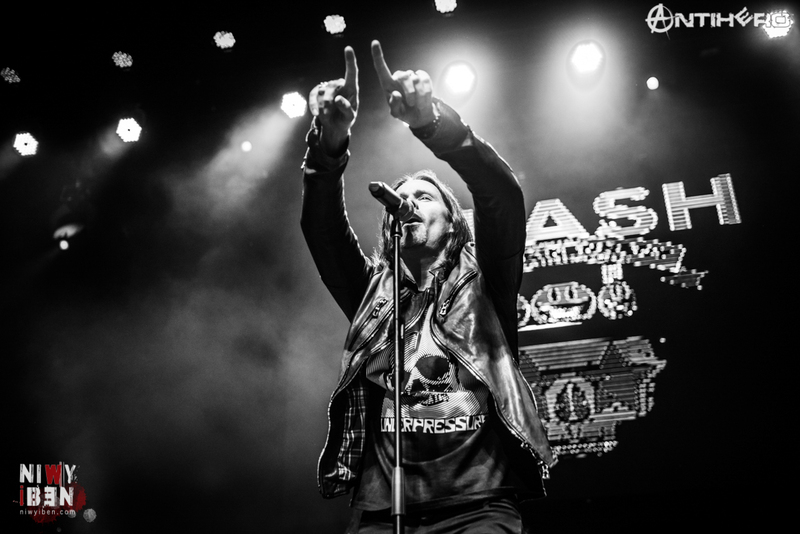 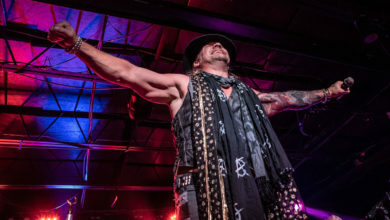 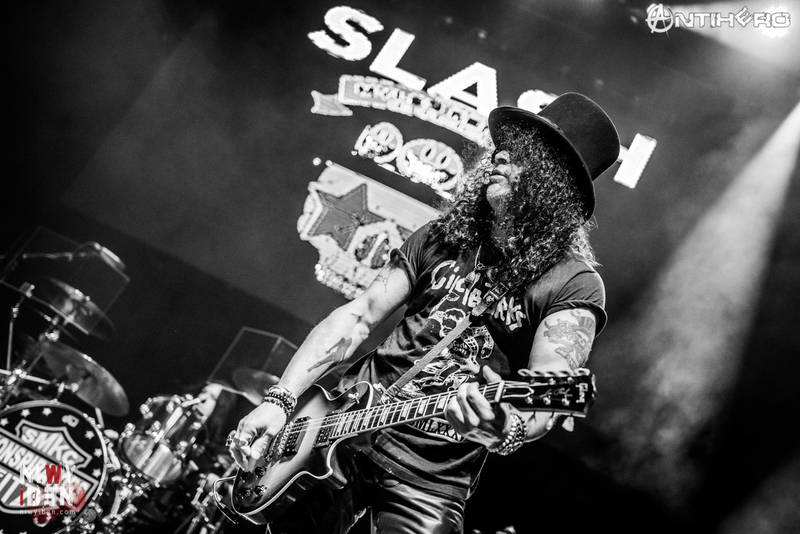 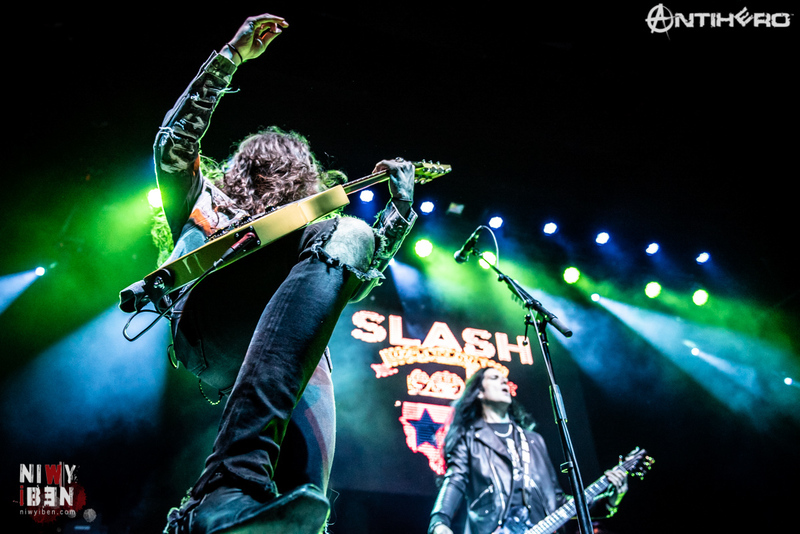 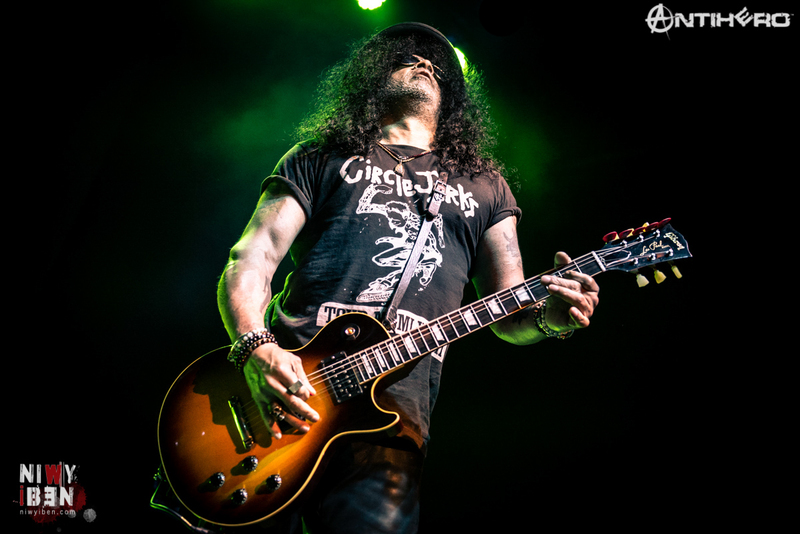 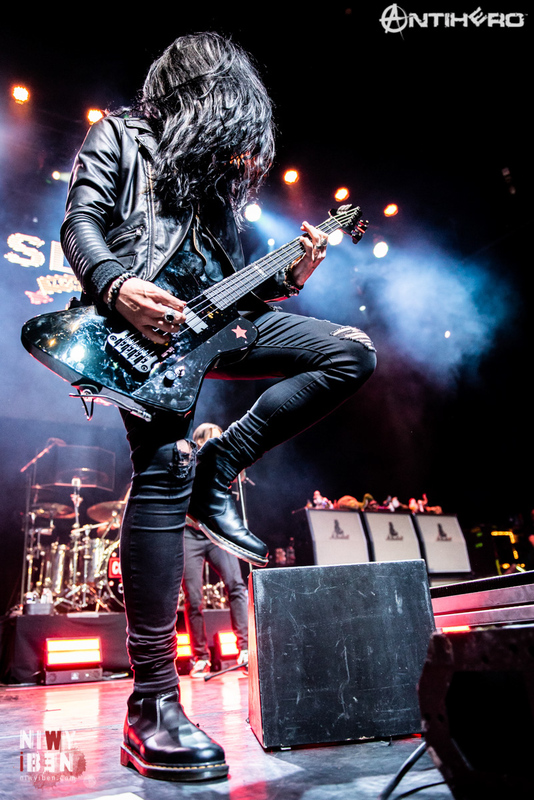 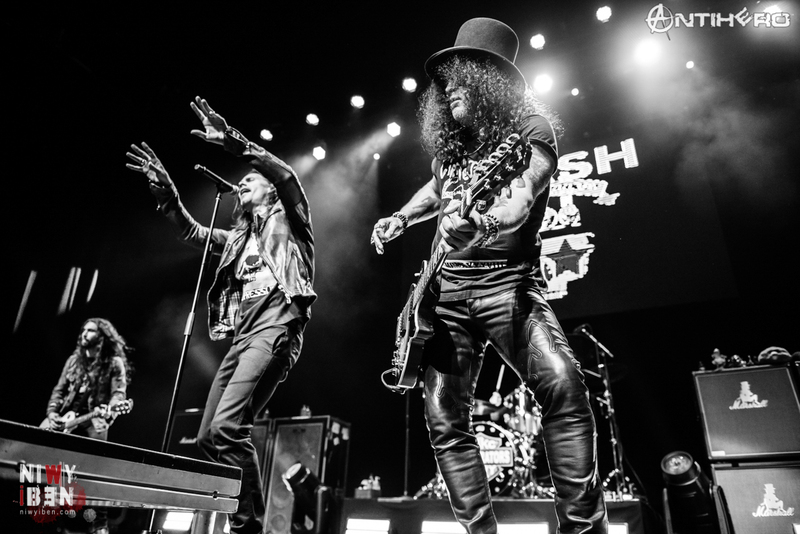 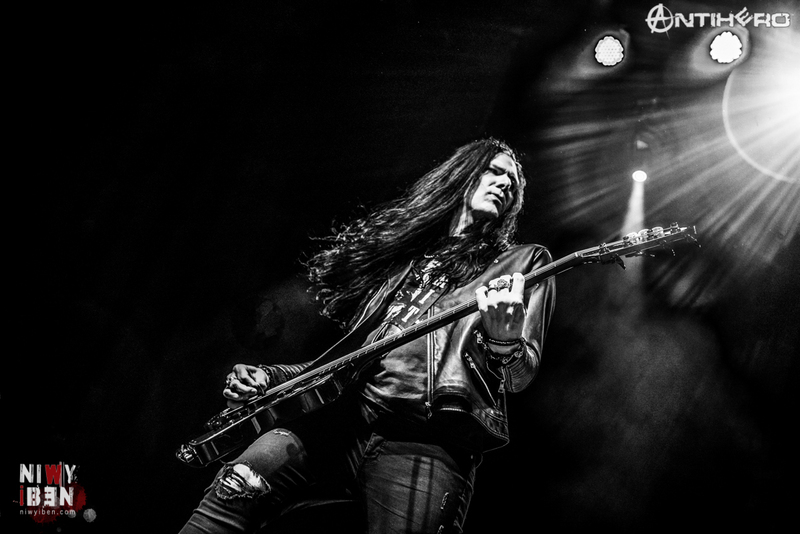 The audience got to experience a two-hour set full that cut through the whole SMKC catalogue, Slash’s first solo album, and even one Guns ‘n Roses song. 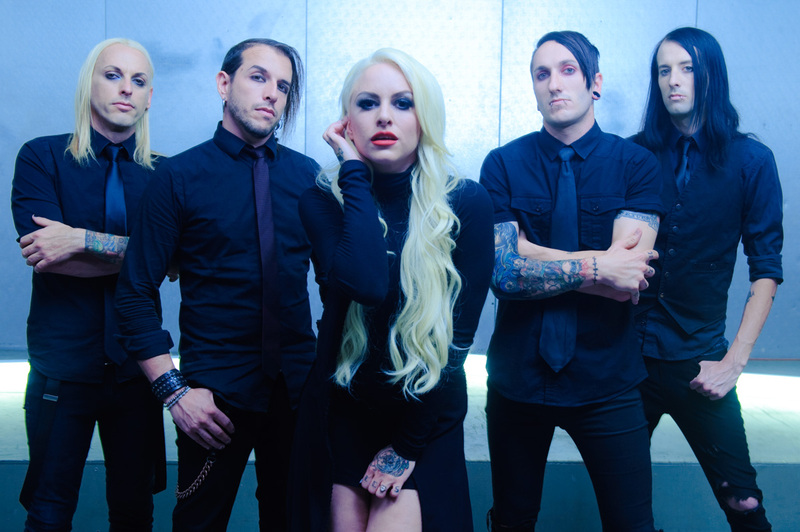 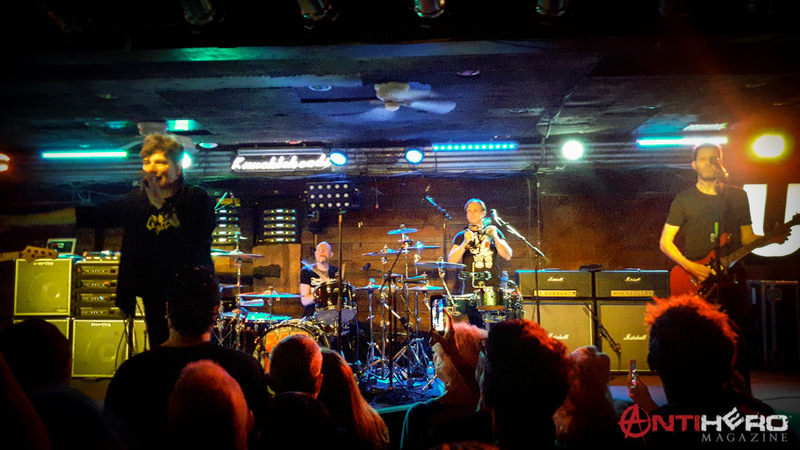 The band played few songs from the new album like ‘My Antidote’, ‘Serve You Right’ or ‘Mind Your Manners’. 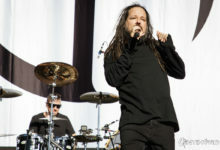 ‘Driving Rain’ also could not miss from the set, since a brand new music video was released recently and to my big pleasure also for only the second time ‘Lost Inside The Girl’ was played and I must say, this one is my personal favourite and without a doubt one of the best songs on the new record. 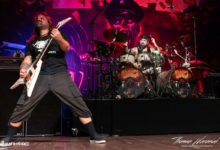 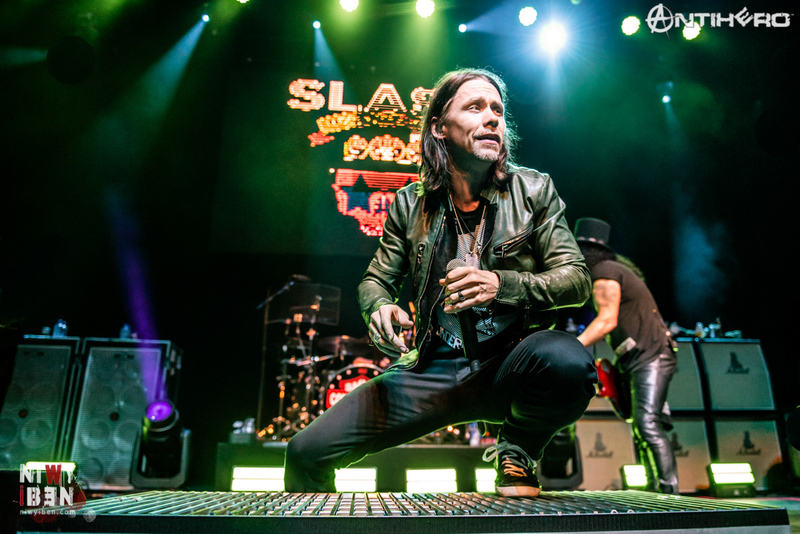 During ‘Doctor Alibi’, Myles had a little break since Todd took over the vocals, which was a really nice change of pace and it was great to hear the bassist to sing the main vocals instead of backing vocals, which he usually handles. 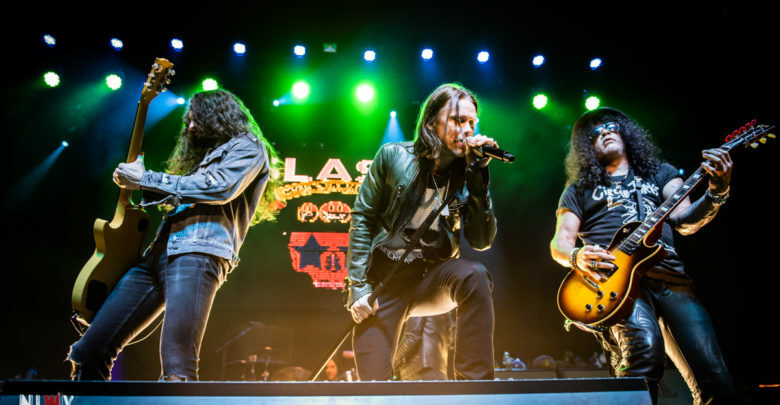 One of the highlights definitely was ‘Starlight’ – a favourite of many and a song that started the whole collaboration between Slash and Kennedy years back. 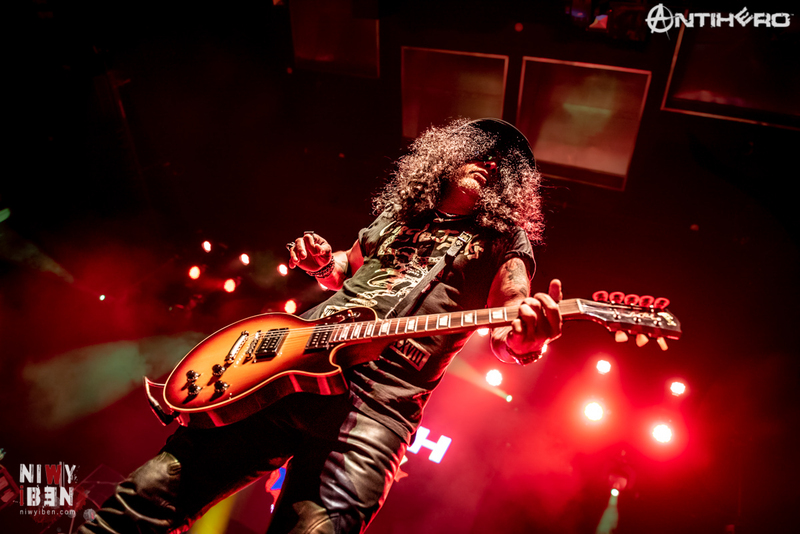 The only GNR song on the setlist – ‘Rocket Queen’ featured quite a lengthy solo from Slash, where the whole spotlight was on the legendary guitarist. 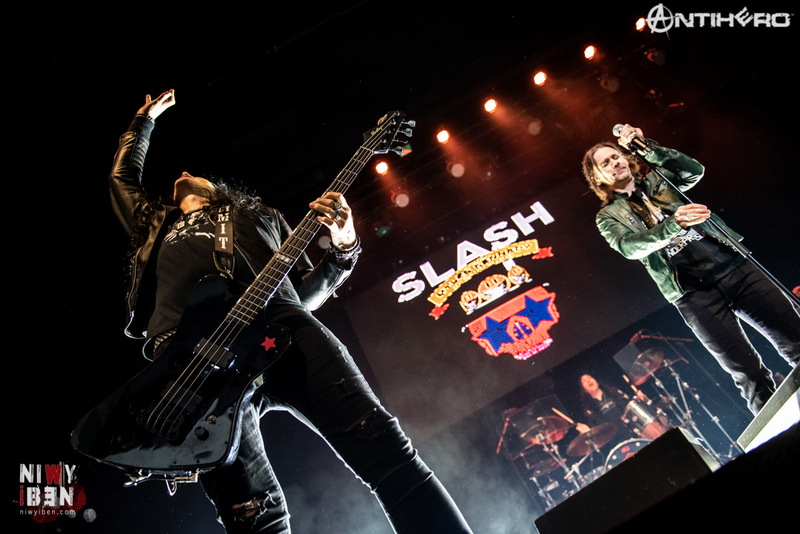 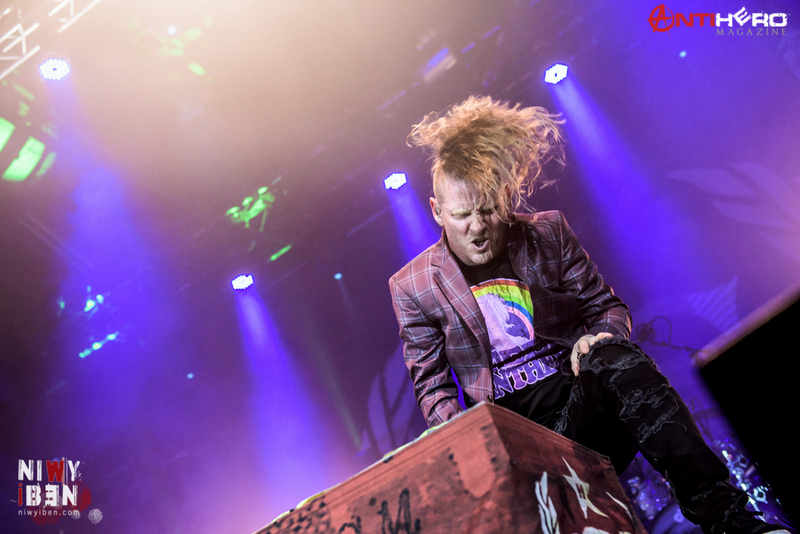 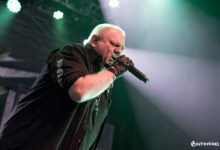 The show was concluded with another great hit – ‘World On Fire’, during which the band was also introduced. 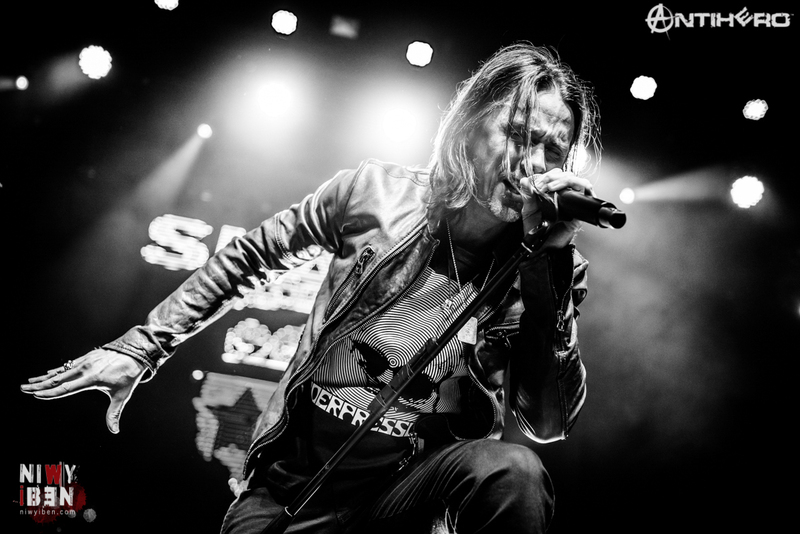 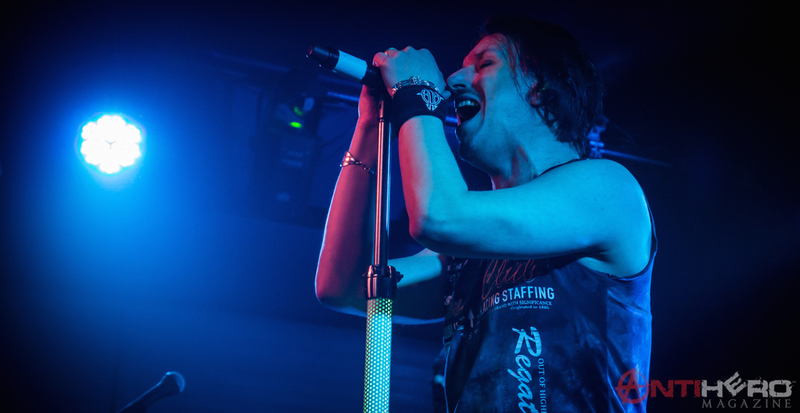 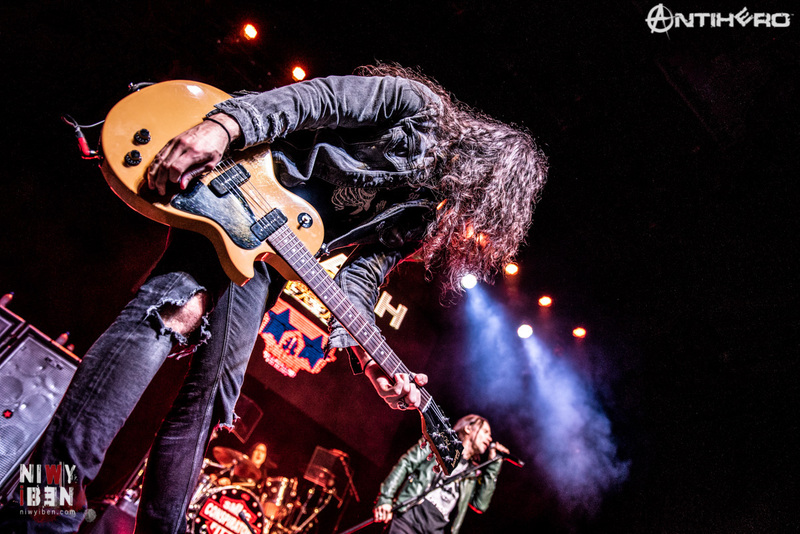 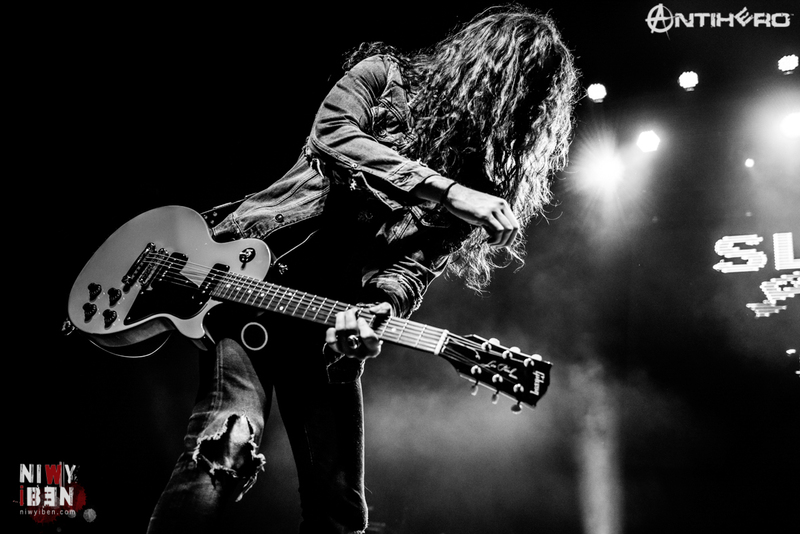 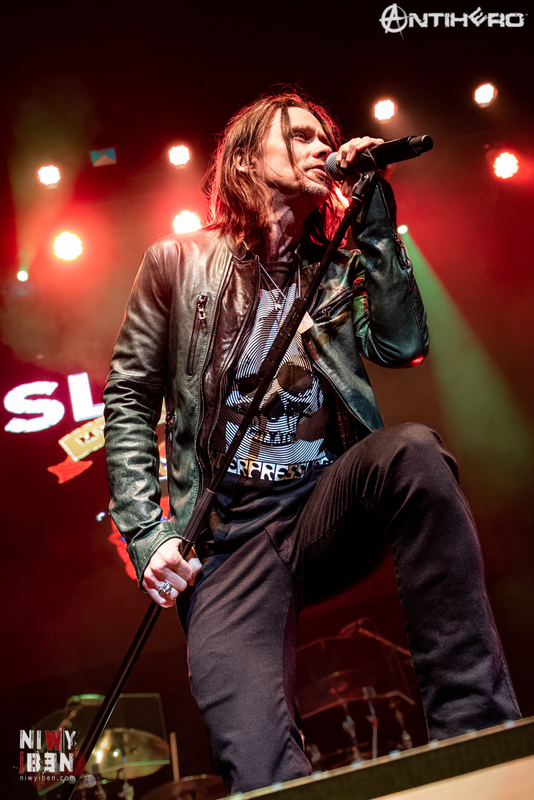 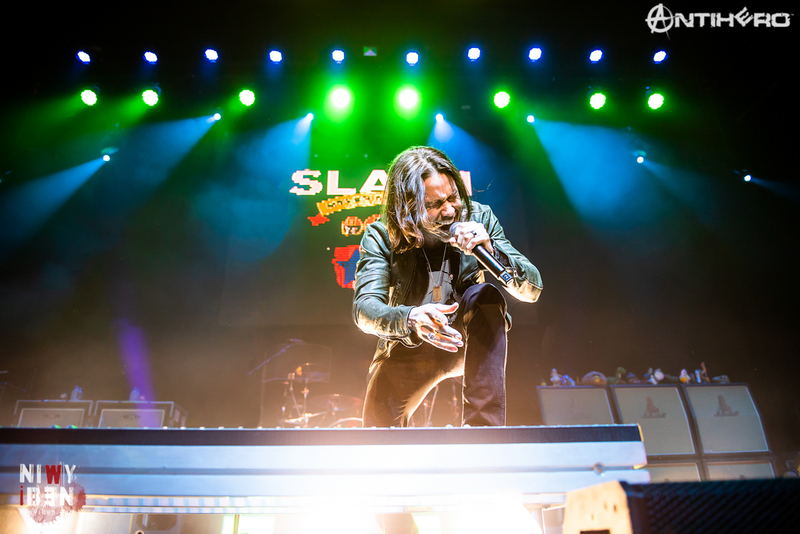 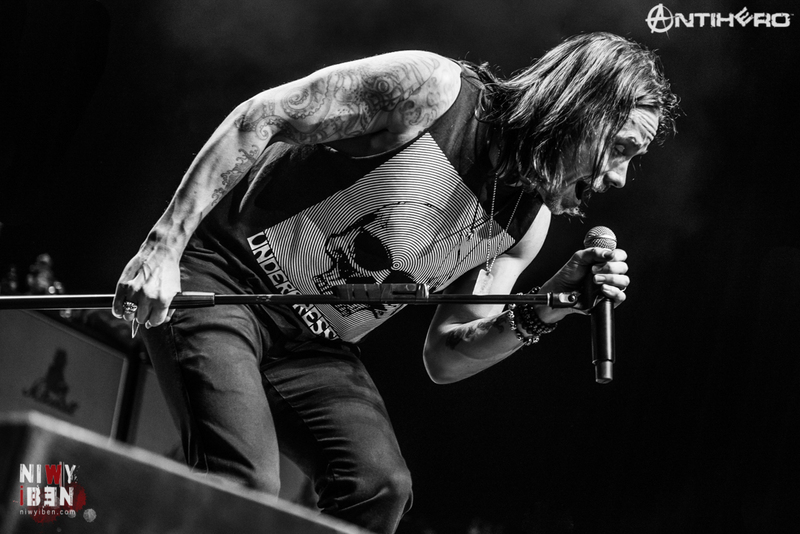 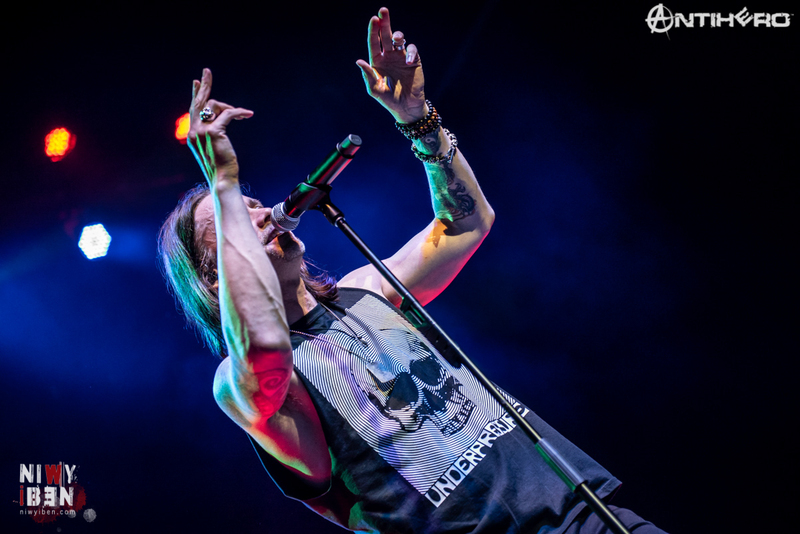 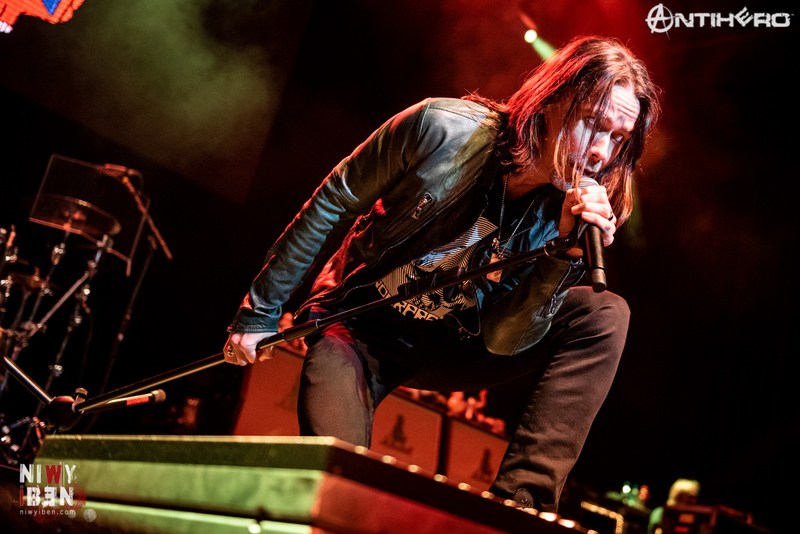 After a very short pause there were two encores – another one from the new album, ‘The Call Of The Wild’, and ‘Anastasia’ was the very last song for the night and it was very clear, how much Myles Kennedy enjoyed having the guitar finally in his hands for part of this song. 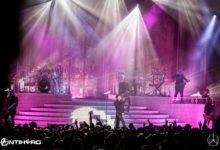 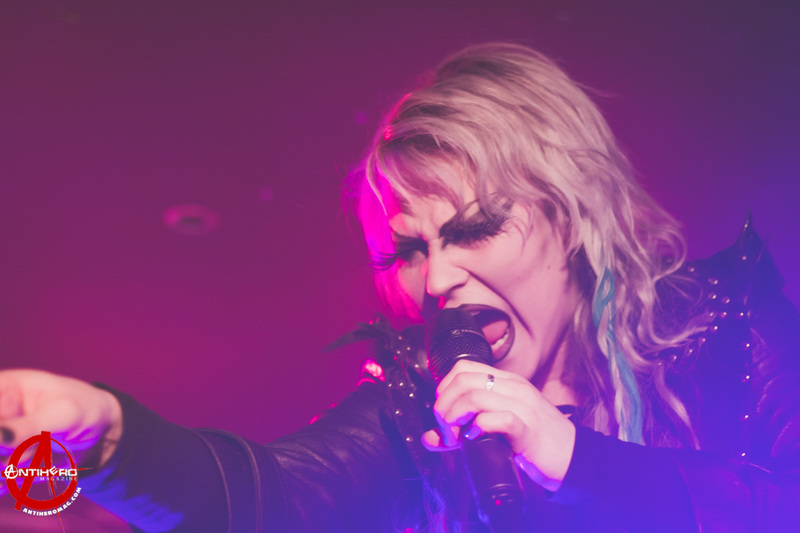 Overall, it was a very energetic and dynamic show that hardly ever slowed down and people were enjoying themselves. 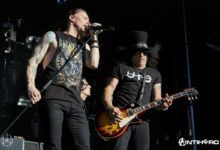 Singing together with the band during songs, especially ‘Rocket Queen’ and ‘World On Fire’, cheering, clapping and having fun. 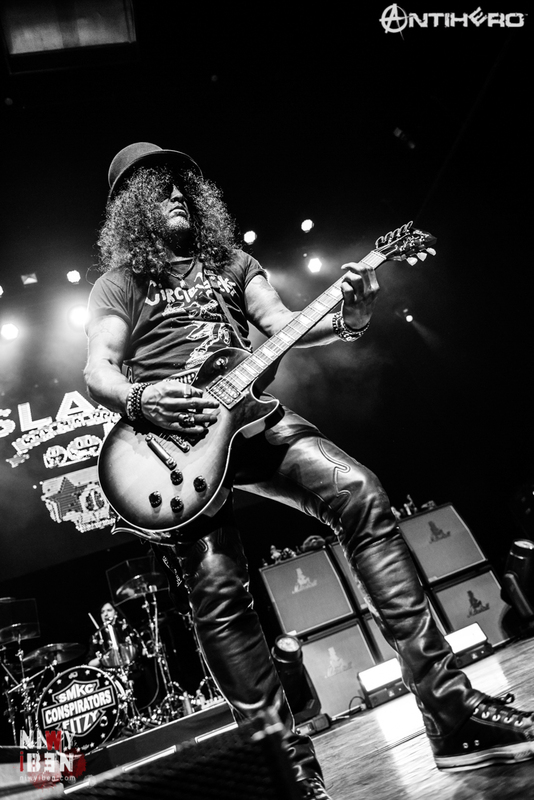 Even though the whole thing might have started as Slash’s solo project, it is very obvious that the spotlight is definitely not only on Slash himself but the whole band. 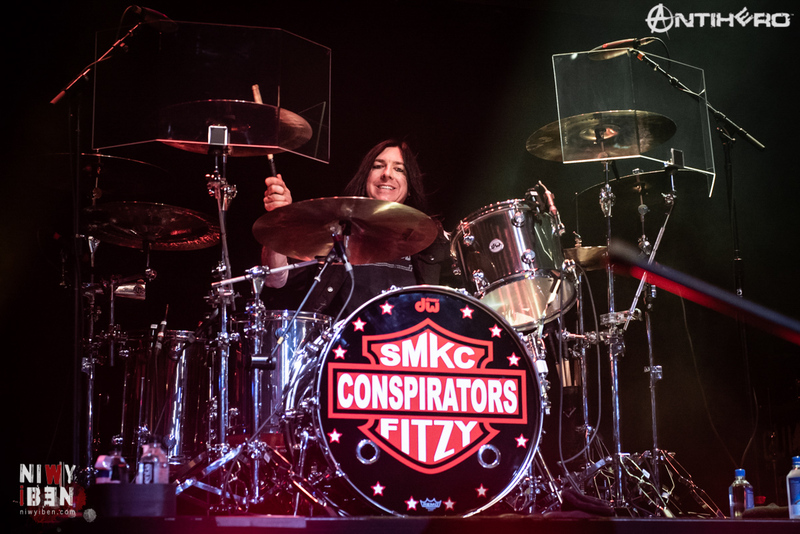 And that they found a perfect fit and they are really having a great time making music and performing for people together. 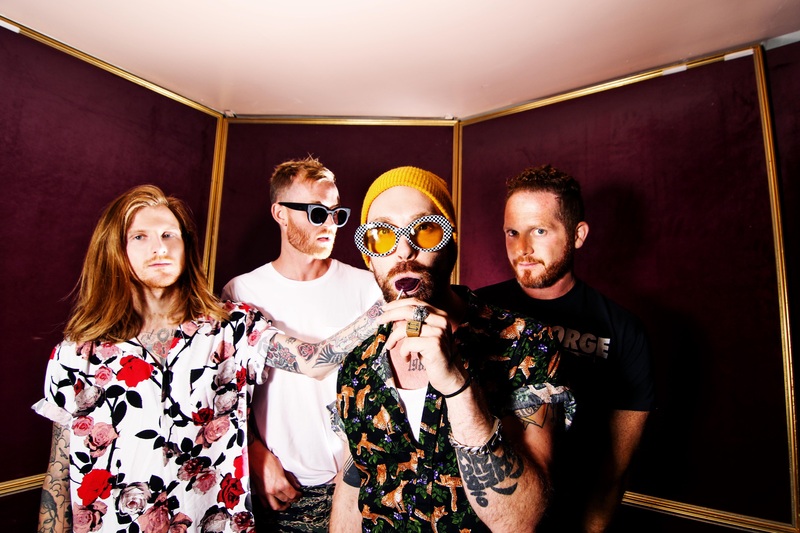 I would definitely recommend for anyone still hesitating to go check out the band on their upcoming tour, it is well worth it. 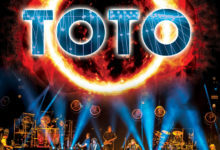 And as for myself, I already cannot wait when the band will make their way to Europe to introduce Living The Dream for their fans on the old continent as well next year.